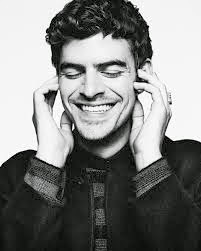 This past year we saw a big sure in electronic music with Canadian producer Ryan Hemsworth being a part of the new wave. He has no only impressed with his remixes, but also original material that have solidified him into the elite of electronic producers. He recently let out "Ribs" featuring some of the best vocal sample/arrangement he has done, giving it a pop/folk edge over an aggressive electronic/trap beat. This song made my day.